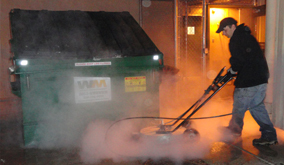 Our residential and commercial pressure washing and steam cleaning company services the entire Mesa metro area. Call us today for a free pressure washing quote! We offer residential pressure washing to all of Mesa, AZ. There is no job too big or small. We are Mesa, AZ's industrial power washing service. We clean up after construction companies. Property cleaning may appear a simple task in the beginning. But soon you face difficulty when you try to work with untrained cleaners and general cleaning equipment. These untrained cleaners will inevitably damage your property and you end up paying more than spending on hiring professional cleaners. So, it is advisable to contact the pressure washing professionals from AZ Power Wash Pros in Mesa, Arizona. Our trained pressure washing professionals are equipped with working with hot and cold cleaning techniques, pressure cleaning, and stain removal processes. With more than a decade’s experience in cleaning services, we boast about the quality of our performance and facilities provided by the team of professionals. Property maintenance is a key responsibility of the AZ Power Wash Pros. We have trained our team efficiently and now they can perfectly maintain all types of property and buildings in Mesa, AZ. Call AZ Power Wash Pros today for a free pressure washing and property maintenance quote to your Mesa, Arizona property! 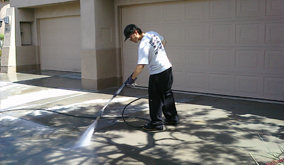 Residential pressure washing services in Mesa, AZ. 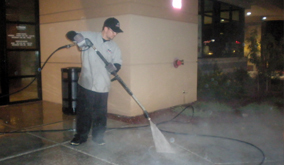 Commercial pressure washing services in Mesa, AZ. It is your responsibility to keep the exterior of your home or commercial property clean on a regular basis. However, the busy schedule that you follow may not openly permit you to take care of your property as much as you would like. Hence, an alternative solution is hiring the best pressure washing and property maintenance service provider in and around the surrounding areas of Mesa, Arizona. AZ Power Wash Pros is known for its expertise in high pressure washing services and superior customer service for any kind of residential property, commercial property, or industrial buildings in Mesa. Their specialized techniques for high power washing enable them to maintain quality throughout each and every job they handle in Mesa. AZ Power Wash Pros provides their services for various kinds of clients requiring residential exterior cleaning and washing service or commercial property maintenance and cleaning services. Residential exterior washing service involves jobs like driveway cleaning, house washing, roof cleaning, pool deck cleaning, garage cleaning and patio cleaning. Commercial washing services include jobs like concrete cleaning, window cleaning, parking area cleaning, garage cleaning, building washing, and dumpster pad cleaning. Industrial property maintenance and equipment washing services in Mesa, Arizona includes jobs like fleet washing, warehouse cleaning, heavy equipment cleaning, paint removal, construction clean-up, and oil removal services. 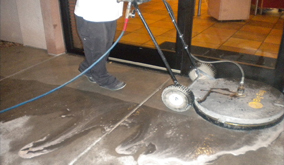 The employees in the organization identify the AZ Power Wash Pros mission and objective. They are as concerned and aware about the stringent environmental requirements by the EPA. 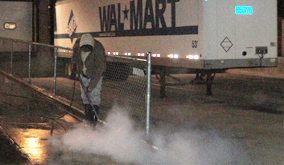 All employees are extremely well trained and come with years of experience in the pressure washing field. All clients who would like to engage the services of AZ Power Wash Pros is Mesa, Arizona on daily, weekly, bi-weekly or monthly basis can avail the special discounts on offer. We offer weekly, bi-weekly, and monthly property maintenance programs to our clients in Mesa. We are Mesa, Arizona's premier concrete cleaning company! Restore your concrete today. We are Mesa, Arizona's premier residential exterior pressure washing service. Call today! 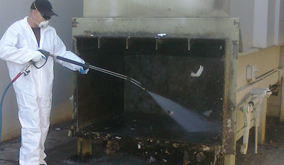 We offer high quality steam cleaning services to all commercial customers in Mesa, Arizona.